Dr. Peng and his staff are wonderful. The health and look of my teeth are great. Dr. Peng is the nicest and most gentle dentist I've ever been to. Dr. Weng-Hong Felix Peng, DDS, MPH, MBA, is a leading provider of state-of-the-art dental care for patients in and around Gardena, CA. His practice is built on a deep understanding of patients' healthcare needs as well as their concerns and anxieties, and he has established a reputation of being a skilled and compassionate dentist for patients of all ages. 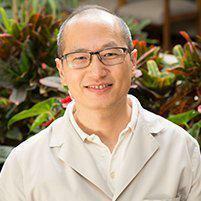 After studying at the Harvard School of Public Health, USC Marshall School of Business, and the National Taiwan University, Dr. Peng received his license to practice dentistry in California before establishing his practice in Gardena. Today, his commitment to continuing his education helps ensure his patients have access to the most advanced, effective and safest techniques for all types of dental care, including preventive, restorative and cosmetic procedures for better oral and overall health. ​Dr. Peng is committed to offering patients the individualized care they need to ensure the best possible outcomes. Every consultation appointment is designed so patients have plenty of time to ask questions and discuss concerns, and each plan of care is customized based on the patient's current and future dental care needs to help avoid the need for complicated and costly treatments later in life. From preventive care and cosmetic treatments to complex restorative treatments and emergency care, Dr. Peng is regarded as a top provider for Southern California patients of all ages, and he welcomes the opportunity to treat new patients and provide them with healthy teeth and gums and beautiful smiles to last a lifetime. Peng Dental Care accepts most major insurance providers. Dr. Peng is an in-network Delta Dental Premier PPO Provider. I love this office!!! All of the people who work there are SO friendly, understanding and Kind... He did such a perfect job on all of the procedures I needed. I always feel welcome and supportive. Doctor always informs me what my expectations should be. For dental heath and a great smile I highly recommend Dr. Peng!